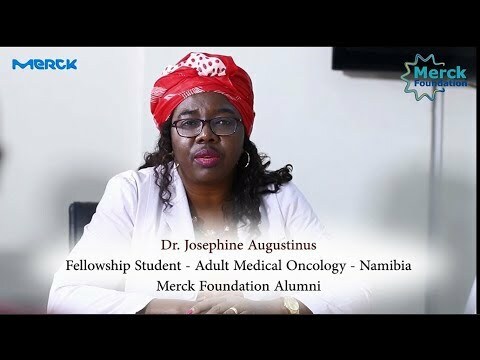 Merck Foundation (www.Merck-Foundation.com) provides one and two year Oncology Fellowship Program to African doctors to be the future oncologists in their countries; Merck Foundation commits to long term partnership with African ministries of Health and first ladies to build cancer care capacity in the continent. 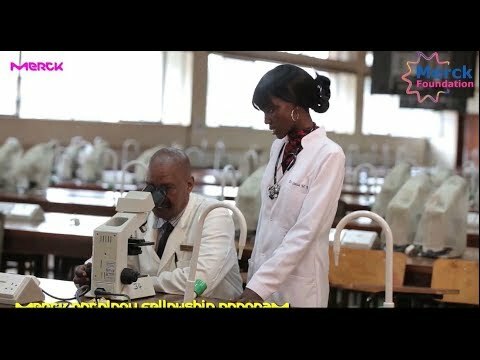 Merck Foundation marks World Cancer Day by increasing the limited number of oncologists in Africa Merck Foundation commits to long term partnership with African ministries of Health and first ladies to build cancer care capacity in the continent DARMSTADT, Germany, February 4, 2019/APO Group/ -- Merck Foundation (www.Merck-Foundation.com) provides one and two year Oncology Fellowship Program to African doctors to be the future oncologists in their countries; Merck Foundation commits to long term partnership with African ministries of Health and first ladies to build cancer care capacity in the continent. Merck Foundation, the philanthropic arm of Merck KGaA Germany marks ‘World Cancer Day 2019’ themed ‘I am and I will’ through their Cancer Access Program with the aim to improve patient’s access to quality and equitable cancer care in Africa. 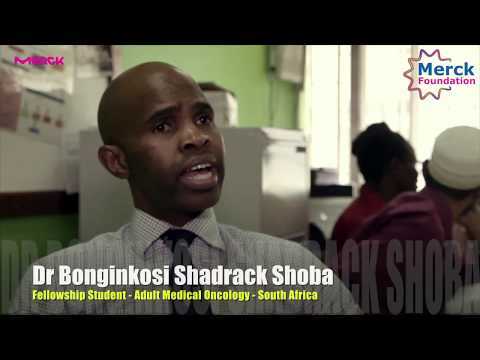 “We are committed to lead Africa to a better future through changing the landscape of Cancer care in the continent. We have been actively working to achieve objectives of building professional capacity with the aim to increase the limited number of oncologists” emphasized Dr. Rasha Kelej, CEO of Merck Foundation. “The lack of financial means is not the only challenge, I strongly believe the scarcity of trained health care personnel is the main challenge, therefore our main strategy is to establish a strong platform of specialized oncologists across the continent, specifically in countries where there is not even a single oncologists till today, such as: Gambia, Central African Republic, Liberia, Guinea Conakry and Sierra Leone. They need them to tackle the prevention, early diagnosis and management of cancer at all levels of the health care systems. 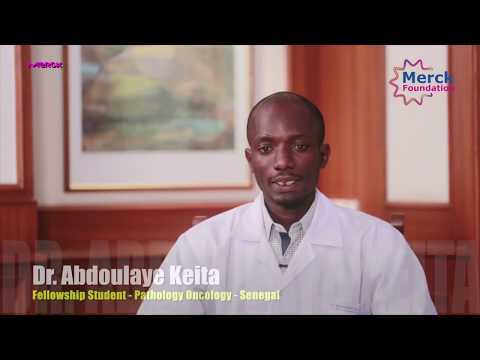 Through this program, Merck Foundation has enrolled and provided clinical training in Oncology to 57 candidates from more than 21 African countries. We will soon scale up and strengthen our efforts and activities in more countries”, emphasized Dr. Rasha Kelej. 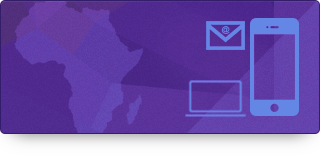 Merck Foundation through its Merck Cancer Access Program has provided training to over 57 candidates from Botswana, Cameroon, CAR, Chad, Ethiopia, Gambia, Ghana, Guinea Conakry, Kenya, Liberia, Mauritius, Namibia, Niger, Rwanda, Senegal, South Africa, Tanzania, Uganda and Zambia. As per data and research, Over 20% of African countries have no access to cancer treatments at all, while access is limited and sporadic in other countries. Later-stage diagnosis in African patients contributes to poorer outcomes. For example, 5-year female breast cancer relative survival rates are 46% in Uganda and 12% in The Gambia, compared with around 90% in developed countries. Therefore Merck foundation partnership with African Government and academia was the right strategy to address this pressing issue, the Merck Cancer access Program was launched in 2016 to provide One-year and two year fellowship program at Tata Memorial Centre - India, two years Oncology Fellowship programs at University of Malaya - Malaysia, Two years Oncology Fellowship Program at University of Nairobi - Kenya and Two years Master degree in Medical Oncology at Cairo University – Egypt. It is an on-going initiative as the aim is to build cancer care capacity and will be scaled up to more African and developing countries. Merck Foundation also provides Cancer access and scientific sessions for more than 1000 healthcare providers during their annual conference, Merck Africa Asia Luminary which was held last year in Senegal, presided by THE PRESIDENT OF SENEGAL, H.E. MACKY SALL. Ten African First ladies and 12 Ministers of health were meeting in different panels and committees to review the strategy of Merck Foundation programs to build healthcare capacity in different fields with special focus on Cancer care in long term partnership with their countries. Distributed by APO Group on behalf of Merck Foundation. Rendered in 1.4193 sec. using 6.04MB.